Weekend Reads | Links I Love for Week 46 | 11.16.18 — TBR, etc. Podcast recommendation of the week—UnErased. UnErased is a podcast about the hidden history of conversion therapy in America. According to a survey by the Williams Institute at UCLA, nearly 700,000 living Americans have gone through some sort of conversion therapy. Garrard Conley is one of them- and his story and others are presented in the series. He also wrote a memoir, Boy Erased, and a movie based on his story starring Nicole Kidman was just released. I’m working my way through Michelle Obama’s memoir, and let me tell you, it’s moving me in all kinds of ways. It’s wildly entertaining, too. While I find that her own story is the best part of her memoir, not the parts when shes sharing stories in relation to her husband, she does throw some pretty epic shade his way. Have you seen Bohemian Rhapsody yet? I saw it last week, and I literally have not been able to get Queen’s songs out of my head yet. I loved Rami Malek’s performance as Freddy Mercury, but I had no idea how historically accurate their production of their Live Aid concert was. We’re big into home brewing coffee, and whole bean is the way to go. Although J just bought some really complicated looking apparatus that kind of looks like a bunsen burner, so who knows that that’s going to do. Here are 9 writers on their favorite kind of coffee. 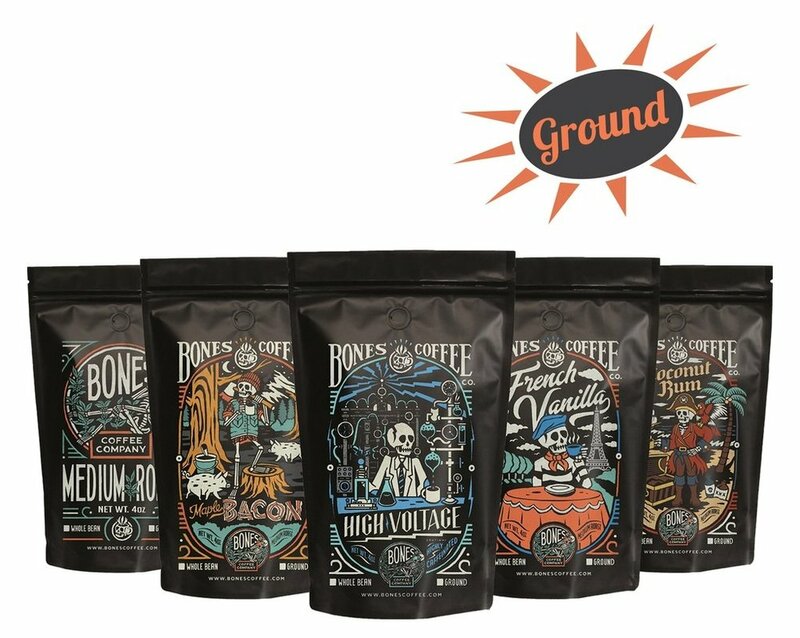 Bones coffee is our fave! Another thing we’re big into in this house is skincare. Right before the wedding, we were doing a really good job at being consistent, but I’ve gotten lax. 2019 is the year of skincare- and this article gave me the itch to add a ton more to my routine. I’m writing this mid day Saturday and already have the Sunday scaries :) Probably because it gets dark at 4, so I feel like my day is already nearly over! Looking forward to the short week next week.